Di Winkler is an occupational therapist who has worked with people with severe brain injury for more than twenty years. Di was the Chief Occupational Therapist at Ivanhoe Manor Private Rehabilitation Hospital prior to developing a private practice working with people with brain injury in the community. Di completed a Masters by Research at La Trobe University entitled “Factors that lead to successful community integration following severe traumatic brain injury”. 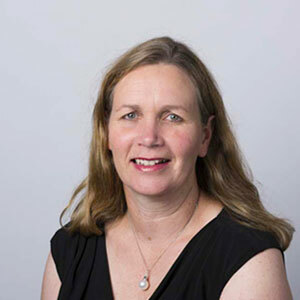 Di established the Summer Foundation in January 2006 and in 2012 completed a PhD at Monash University, which involved a series of studies that focused on young people in nursing homes. Di also sits on the Board of the Summer Foundation and Livable Housing Australia. In November 2013 Di was awarded the 2014 Stanford Australia Foundation Dyson Bequest Scholarship. This scholarship enabled Di to complete the six week Stanford Executive Program in 2014. Di was conferred with a Doctor of Laws honoris causa from Monash University in May 2018 for her distinguished service to the community through her leaderships as a practising Occupational Therapist and researcher with a particular focus of dealing with young people affected by acquired brain injury.